Our talented team is led by Lyn and Andrew Lavery, who are the brains and enthusiasm behind Academic Consulting. They’ll ensure that your training course, research project or document is matched to the best person for the job. Our researchers and editors have master’s and doctoral degrees in a diverse range of academic areas including psychology, linguistics, public health, and education. Lyn, Rachael and Sue have been using research software for more years than they’d care to remember, while Andrew, Ellen, Ruth and Megan can spot formatting inconsistencies and typos from a mile away. While we clearly need better work stories, our obsession with attention to detail is all in your favour when we’re working on your research project or document. 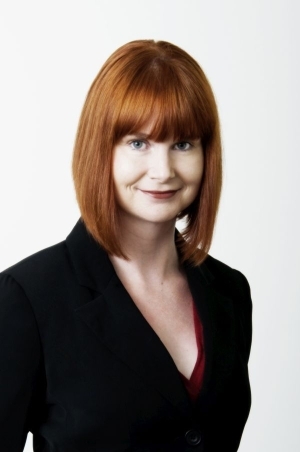 Lyn established Academic Consulting in 1999 following a successful career in the tertiary sector. Her 20+ years background in education, combined with a PhD which examined self-regulated learning at a tertiary level, provide a solid platform for developing the company’s innovative training programme. Her love of teaching and education, alongside her flexible teaching style and engaging sense of humour, contribute to an outstanding reputation as a training facilitator. As well as overseeing the company, Lyn provides individual support to researchers and postgraduate students. This has seen her work alongside a diverse range of clients – including senior academics in leading tertiary institutions, PhD students both within New Zealand and internationally, and research teams within central government. With extensive experience in both quantitative and qualitative methodologies, she is also actively involved in all research project work undertaken by the company. Andrew is the General Manager at Academic Consulting, and has been involved with the company since its inception in 1999. In addition to managing the day-to-day running of the company, he leads Academic Consulting’s proofreading and formatting services, working alongside postgraduate students and academic clients. This specialist knowledge makes him the perfect choice for also facilitating Academic Consulting’s range of document preparation training courses. 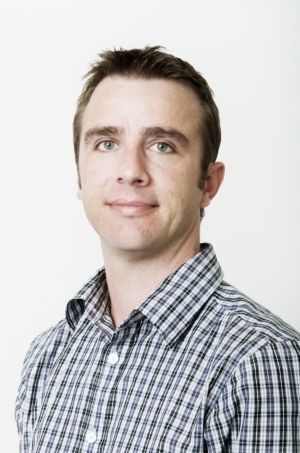 Andrew was previously employed as a Senior Tutor at The University of Auckland, where he was responsible for the student IT Literacy programme. In this role, he designed a curriculum to support student’s IT skills, and provided one-on-one support and training to students across a range of topics. He has also previously worked as a project manager within the private IT sector. Thanks! You've been added to our email list. Check out our 5 super simple resolutions that will help you reach your research-related goals in 2019. Get a quick rundown of the Pomodoro Technique and how it can help you with your research productivity! The journey we have taken with the integration of qualitative data into our institutional reports at Massey University has been done with guidance, technical support and assistance from Lyn and her team. Their input has helped us progress to a stage where this qualitative data has become an important part of the quality improvement discussions at my institution. I am grateful for the assistance, peer reviewing, coding and report writing that Academic Consulting have done for us. Long may that continue. As a lecturer I really appreciated how Lyn made us all feel like a group on a journey together during the webinar, even though we couldn't see and hear each other. She did a great job of navigating a group that had a range of NVivo experience, and a range of expectations. I liked every part of the experience - Andrew on the message system; getting to 'put up my hand'; just learning about how to participate in a webinar was great - it was seriously good fun! I really liked that it was quick, snappy, and focussed on some clever stuff I was still trying to work out myself. Undertaking a part time PhD can be a very isolating experience but making contact with Academic Consulting for one to one NVivo support was a turning point for me. I had reached a point with my research where I didn’t know where to turn with my data analysis. In a very few emails, I had a date and time set up to meet with Lyn who was entirely flexible about timing, despite the fact that we were in different time zones. Her experience as a researcher and educator together with her confident expertise with NVivo made for a fun, motivating and useful session. Thanks so much for the BYO session today. We really enjoyed your supportive teaching style, and ability to 'let go' when we needed to learn ourselves. We are very appreciative of what you did, and the time you gave to us. We all feel much more confident now to pick up the pace on using NVivo and will continue to learn as we go. I was a newbie to statistical analysis but gained enough knowledge from the session to begin my data analysis. The accompanying booklet you handed out has been invaluable!! It was an informative, well organised, and non-stressful learning workshop which I will be highly recommending to other postgrad students. When analysing my doctoral data on how the intersections of age, gender, ethnicity and class influence career longevity, I approached Lyn for advice. Intersectionality is notoriously difficult to operationalise but with Lyn’s assistance a coding method was designed. Without Lyn’s creativity and expertise this would not have been possible. The methodology developed from this study has been written up and published in Work, Employment and Society and Lyn has continued to provide developmental support in successive research projects.